A local boxing promotion is pulling together a scintillating fight card with a prize pool of AED 50,000. Emirates Strength Boxing is holding the event, named Fists Will Fly in Dubai, on April 12 and are promising a night of wild action. Eight heavyweights will take to the ring in tournament format – with the winner having to go through three opponents on the same night to take the crown. The impressive prize pot, will be split among the fighters, dependent on how far they get – with an extra bonus for the knockout of the night. The selection process for the event has been meticulous, with a number of tryouts held before the eight to appear is finalized. Mark Boyd from Emirates Strength Boxing said they are expecting a fantastic night. “This is going to be a really high quality event. We want to ensure the bouts are well contested and the crowd are well entertained. “The tournament format is tough, but will really show who the best man on this night it. There is an excellent purse for the fighters – and whoever wins will certainly deserve the payday. When it comes to finding the alpha male in sport it’s hard to look past the world of strongman. Hafthor Bjornsson is very much king of that mountain and says he can stay on top for another decade. Speaking exclusively to Sport360, the Icelander discussed his drive and desire to be the best in the sport for years to come after sweeping all before him in 2018. For a man who is such a household name, it’s hard to describe last year as a breakout, but more the culmination of years of hard work and determination from the man also known as The Mountain from Game of Thrones. In the space of nine months, Bjornsson claimed the four biggest titles in the game – the Arnold Classic, Europe’s Strongest Man, World’s Strongest Man and the World’s Ultimate Strongman – the three global events for the very first time. For a man with six previous podium finishes at World’s Strongest Man it was the affirmation of his status at the pinnacle of the sport – a position he has no plans to relinquish. “As long as I stay healthy and injury free I can stay number one for a decade,” he said. A relatively straightforward win at the Arnold Classic last month, showed no signs of Thor’s dominance being challenged. He took the title by four and a half points from Martins Licis, with Mateusz Kieliszkowski a further nine points back in third. In the world of strongman, this isn’t a gap, it’s chasm. A lot of talk beforehand centred around the deadlift event – with sponsors putting up a huge cash prize for anyone who could break to current world record of 500kg – set by long-time rival of Bjornsson, Eddie Hall in 2016. The 30-year-old Bjornsson won the event with a lift of 474kg, more than 10kg better than second placed Brian Shaw. When the Icelander attempted 501kg, the bar lifted, but not enough for the record – something he is relatively relaxed about. “I am all about winning titles. I am in this game to win titles. Records are constantly being broken and nobody can take away a title that you have won. I’ve won Europe’s Strongest Man four times, won Iceland’s Strongest Man eight times in a row, won the World’s Strongest Man, The Arnold Classic in Ohio two years in a row – no one can take that away from me, but records are constantly being broken, and I know one day that record will be broken,” said the Reykjavik native. 1104lbs/501kg deadlift! Do you think I can pull 500kg+ this year? To stay on top of the game would be hard enough for a full-time athlete, but for a man who is also busy with acting and other projects – it’s doubly tough. Currently in Dubai, Bjornsson has been working with the World’s Ultimate Strongman (WUS) team and their new incubator project. He lifted the inaugural WUS title last year and is impressed with their latest venture – developing raw strongman talent and turning them into world-level athletes. Bjornsson recommended Larry Wheels to become the first person to take part in the project and is now seeing the hard work come to fruition. “This is an amazing program, it is the right direction for the growth of strongman and to bring talent like Larry Wheels who has a great background and who is already strong, but just need some guidance and help to learn the right ways to become a great strongman,” he said. 370kg/814lbs Axle Deadlift 2 reps in preparation for Europes Strongest Man! Striving hard for my 5th ESM title! - What’s your thought on top 3 at Europe’s Strongest Man? “I think WUS is doing great things for the world of strongman. They are stepping up the game in every way possible, treating athletes super well and everything is just on top. 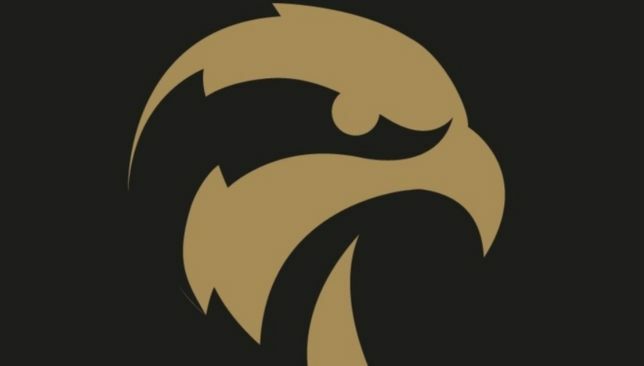 This is great because the level of strength is growing, the guys are getting stronger, and the sport is getting more popular, so it’s amazing to see what they are doing. 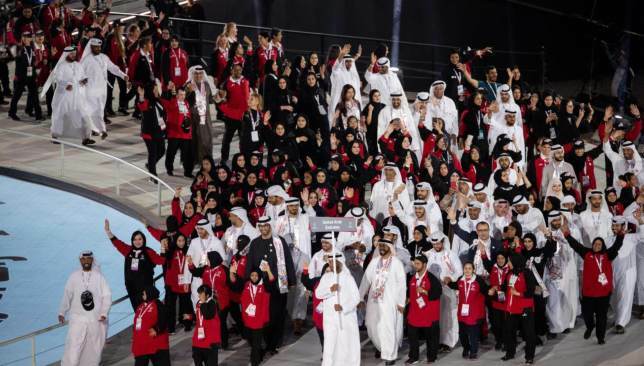 His Highness Sheikh Mohamed Bin Zayed Al Nahyan announced the start of Special Olympics World Games 2019 at a spectacular Opening Ceremony at Zayed Sports City on Wednesday. The Crown Prince of Abu Dhabi and Deputy Supreme Commander of the UAE’s Armed Forces officially welcomed more than 7,500 athletes and 3,000 coaches, representing 200 nations, for seven days of incredible Olympic-style sports and a celebration of the human spirit. A crowd of thousands, including people of determination, heads of state, dignitaries, VIPs, celebrities, members of the community, families and fans packed into the stadium to watch an incredible live show that weaved together the heritage of the Emirates, the spirit of the Special Olympics, the goals of the Abu Dhabi World Games and the vision of the UAE. Some of the biggest names in music delivered a thrilling rendition of the official World Games anthem ‘Right Where I’m Supposed To Be’ for the very first time. A number of widely acclaimed music stars and producers, including Greg Wells, a producer and Grammy Award-winner for ‘The Greatest Showman’ soundtrack, Ryan Tedder, lead singer of chart-topping boy band OneRepublic, and Quincy Jones, honorary executive producer and 28-time Grammy Award-winner, came together to create the official song. It was performed by global superstar Avril Lavigne, whose song ‘Fly’ was the official anthem for the 2015 World Games, and Luis Fonsi, singer of global smash-hit single ‘Despacito’, Emirati singer and Good Will Ambassador at Large, HE Hussain Al Jassmi, Syrian superstar Assala Nasri, and star of Egypt and the Arab world, Tamer Hosny. People of determination played a leading role in the Opening Ceremony. They are the ‘Makers’ who worked hand-in-hand with an international team of specialists and performers to make their vision a reality to mark the beginning of the biggest sports and humanitarian event on the planet this year. The ‘Makers’ shaped the performances to encapsulate the spirit of the Olympic dream that is shared by each of the athletes. They showed that people of determination have a powerful voice and are the greatest leaders, teachers and champions for inclusion. With the voices of hundreds of children still echoing around the stadium, thousands of Special Olympics athletes entered the arena. In a moment of incredible pride, joy and excitement, teams of athletes from the competing countries paraded into Zayed Sports City to a stirring and empowering chorus of cheers and claps from the crowd. More than 1,000 VIPs representing Special Olympics, the World Games and the UAE also joined the athletes in an amazing display of inclusivity and unity while the British DJ Paul Oakenfold electrified the stadium and entertained athletes as they walked and danced into the arena. The athletes and spectators stood to attention to respectfully observe the raising of the UAE’s flag. A proud moment for every Emirati, expatriate resident, and the scores of people who have worked tirelessly to make the World Games a reality, the UAE’s national anthem was then played to rapturous applause. Next, thousands of arms were raised to the sky revealing a beautiful collage of LED World Games wristbands. The stage was then set for an address by Dr Timothy Shriver, chairman of Special Olympics, who delivered a rousing, heartfelt and inspirational message to the UAE and the world. Dr Shriver’s speech was followed by a message of unity from the UAE Special Olympics community, including athletes and members of the Local Organizing Committee (LOC). Spectators turned to view a short film dedicated to the memory of the Special Olympics founder, Eunice Kennedy Shriver. The World Games Abu Dhabi is a fitting tribute to the remarkable achievements of Shriver, who passed away 10 years ago. This year also marks five decades since the Games were officially established. 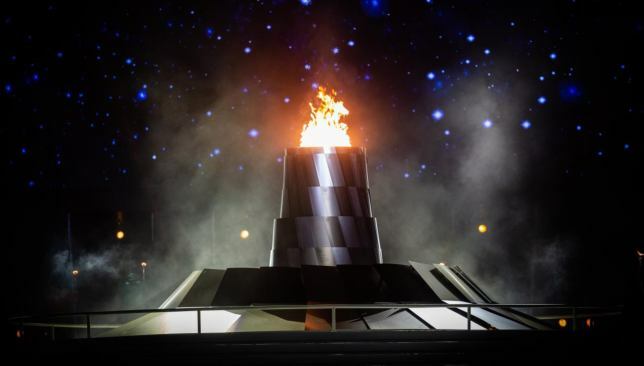 After paying homage to the roots and history of the Special Olympics, it was time to celebrate the latest addition to the legacy of the global sports and humanitarian movement with the arrival of the Flame of Hope. 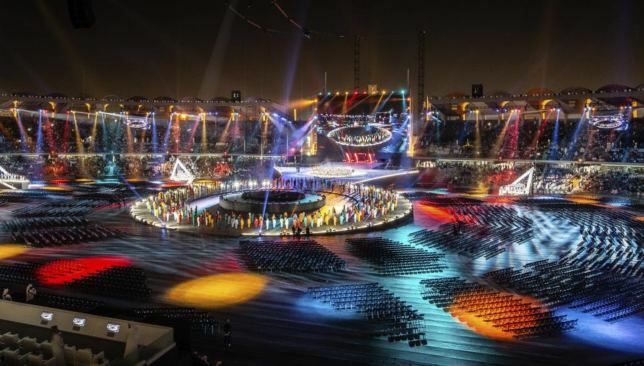 Carried by athletes from all seven continents and officers from the Law Enforcement Torch Run for Special Olympics, the torch circled the stadium as a festival of Emirati cultural performances, traditions and dances were played out on center stage. The crowd watched displays of UAE traditions, such as the sharing of gahwa coffee, as the torch was passed from runner to runner, each igniting their own symbolic flame. The runners then gathered around a cauldron to light the Special Olympics flame that will burn for the duration of the World Games. The final curtain was then brought down on a spectacular event that signaled the beginning of seven days of incredible sport, human endeavor and unity.